Greek Cuisine has a lot of simple but delicious recipes and home-cooked meals are definitely healthier as you know what ingredients you use and there are no preservatives and, when compared to dining out, much cheaper. 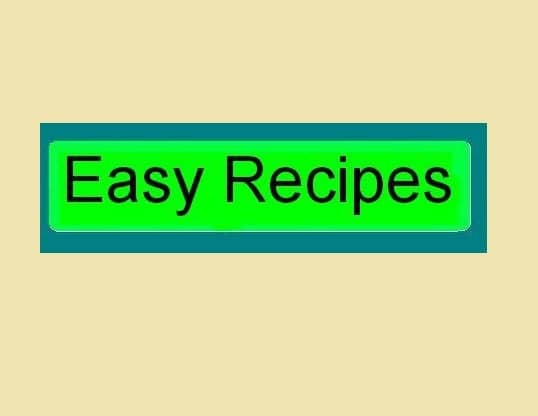 Now that our children will be living on their own and have minimum cooking experience, they have asked me to put together a post where they can find some “easy” recipes to cook. Now, easy is a bit tricky because what’s easy for me may be complicated for the novice cooks but unless you are cooking meals from scratch, I think these can’t get any easier. The quantities in my recipes are those of a large family but you can either add half of the ingredients or have leftovers to eat the same meal the next day and save time and money. If you don’t like eating the same dishes two days in a row, some dishes freeze well, so you can store them in the deep freezer and eat it whenever you like. Recipes marked with an asterix (*) can be prepared in large quantities, divided into portions, placed in zip lock bags and refrigerated before cooking. I started compiling this post with the most easy Greek recipes but why limit it to Greek only. Some have their root somewhere else but since we eat them regularly, why not add them as well. This post will be updated regularly with more…..
Something Fishy.. This post has a few recipes with fish. The most difficult part of preparing fish is when it’s fresh and you have to scale it. You can ask your fish monger to do that for you or if you want to avoid this part you can buy frozen fish fillets and you can get a few ideas how to prepare them in this post. Avgolemono sauce is used in many Greece recipes such as Avgolemono soup, which is a chicken and rice soup or giouvarlakia, which is a soup with meatballs and rice, for fricassee and other recipes. Hi Tes and welcome to my blog. It's great to hear that you enjoy Greek food and hope you'll try some of my recipes and let me know if you liked them. This is a great post Ivy – I am often time poor so having some healthy and quick recipes is important to me. Hi Gaye. Hope you'll find something you will enjoy!! What a great selection of delicious recipes. I am such a fan of Greek food. I think it's great that you're promoting Greek recipes can be fast and easy. They usually have a reputation for the exact opposite. And the fact that you have links to so many makes it even more helpful. Thank you very much Ginger. Fabulous selection, lovely collections of easy recipes.. There are so many great dishes here! I love that many easy recipes are also very fresh and flavorful. Dearest Ivy, your comment made me laugh :D… yes, I'm a bit like Lazaro, ja, ja! I'm ok, and hope you are too. It was just that blogging stole to much of my time. So now, I'll take things easily. Do you know that this coming summer I'm visiting Greece? Can't wait, can't wait, can't wait. Nuria, I want so much to meet you. Shall e-mail you. This is a terrific guide to Greek specialties! Thanks for the list Ivy! I see a few things I would like to try! This is a very useful post. Not only for your children but for your followers/readers as well. Thank you! !